Since 2003, New York's Boating While Intoxicated (BWI) laws, New York Navigation Law Section 49-a, makes operating a navigable vessel with .08 percent or more blood-alcohol content a misdemeanor with a sentence of up to one year in jail and $1,000 fine. A second conviction within 10 years becomes a Class E felony, carrying up to four years in jail and a fine of up to $5,000. If a boater is convicted of BWI as a first-time offender under the Navigation Law, his privilege to operate a vessel is suspended for six months, and his driver's license is in jeopardy, too. If the operator is under 21 years of age or has a previous BWI conviction, the suspension lasts for a year. Even worse, a BWI conviction can cause your auto insurance rates to skyrocket, just as a DWI conviction will, along with your boater's insurance. 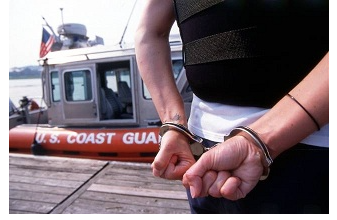 If you are caught Boating While Intoxicated (BWI) or Boating Under the Influence (BUI) by the Coast Guard, you could also wind up facing federal criminal charges. In Nassau and Suffolk counties, including the Hamptons and North Fork, the District Attorney's Offices have toughened their stance against BWI offenses in recent years. In most cases, a first-time BWI offender will not automatically receive a plea deal reducing the charges to the lesser offense of Boating While Ability Impaired (BWAI), a noncriminal violation. Without the proper representation by an attorney with experience in the nuances of the DWI and BWI laws, most offenders are looking at a criminal record, even for a first arrest. On Long Island, BWI or BUI is often caught during boat checkpoints and accident investigations, because there are generally fewer "traffic" stops on the water. However, since the enhanced BWI statute, passed in 2006, was written and passed quickly by the New York State Legislature, there are several issues with the law that an experienced New York BWI and DWI attorney can exploit on behalf of their clients. At Astarita & Associates we are specifically familiar with the weaknesses of the BWI/BUI statute and we use our experience and expertise to best protect our clients' rights. When arrested for a BWI/BUI the most important decision you can make is hiring the right attorney for you. Call us for a free consultation at (631) 283-4449. It is our promise that we will thoroughly investigate your case, aggressively mount a defense, and work tirelessly to achieve the best possible outcome.